Diagnostic tests are an integral part of health care in the developed world, but access to appropriate diagnostics in developing countries is constrained by incomplete solutions. 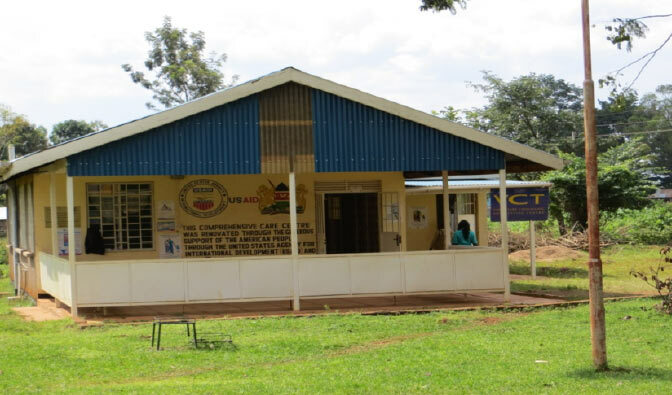 U.S.AID-sponsored VCT Center, Matayos Health Center, Busia, Kenya. Only an estimated 45% of those who need testing in sub-Saharan Africa get it. Implementing sustainable diagnostics in resource limited settings requires understanding market approaches and market requirements and developing and delivering appropriate technology solutions. Diagnostics designed for developed country locations can seldom be used sustainably in limited resource settings. Product performance limitations, failure to satisfy local operating environmental requirements and failure to consider challenges in distribution, service and support logistics all contribute to the technical and practical shortcomings found in most diagnostic products available today for use in resource limited settings. In addition, the lack of accepted business models and relationships with unfamiliar local partners contribute to reasons for uncertainty and business failures. Addressing these unmet emerging market needs requires considerable local knowledge and development resources in addition to those required for developed-market products, capacities unavailable to many diagnostic developers. A clear understanding of local policies, infrastructure limitations and unmet medical and clinical needs is required before development of diagnostic products capable of facilitating linkage to care in global health settings can be initiated. Companies are often resource constrained to develop products for the most attractive market they can access. This situation is frequently driven by the needs of investors and the knowledge base at the company, and generally results in focusing the company on the major developed markets in the U.S. and Europe. Working with partner organizations to gain an understanding of local unmet needs and product requirements is an important first step in determining the value and positioning for diagnostics within the local healthcare system. If done properly, the development of products that meet the needs of the developing world will also deliver products that satisfy developed market needs. Halteres Associates has a deep understanding of the local policy, business, clinical, laboratory and patient drivers in many regions around the world and can help its clients develop an ideal combination of technology and business practices solutions to satisfy diagnostic testing demands.